Love the composition and lighting on your sailboat photo. Nicely done! Great perspective and I really love the gentle lighting here, it has a neat effect on the mood. Superb photo. 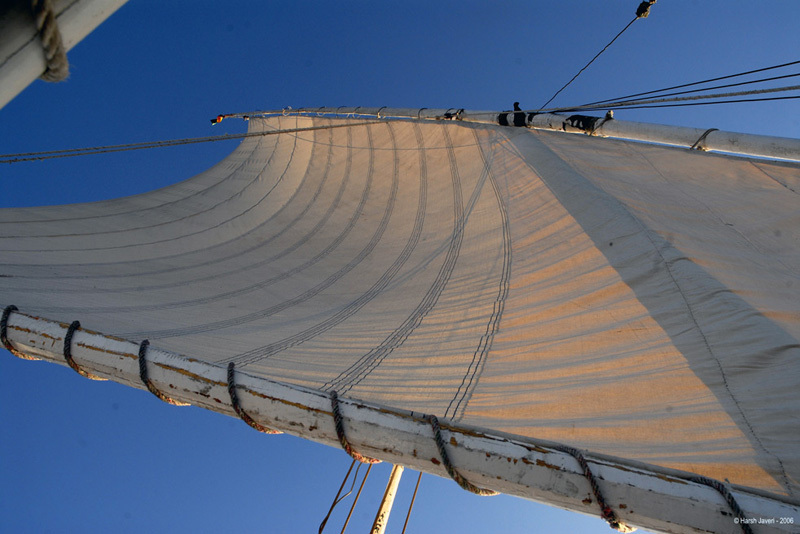 What I really liked about it is the light - the dark and bright sides on the sails, the light skimming the edge of the ropes and the way the sky turns from light to dark blue! Great shot reminds of the Cecile De Mills movies!!!!!! Love the light! A really beautiful composition.